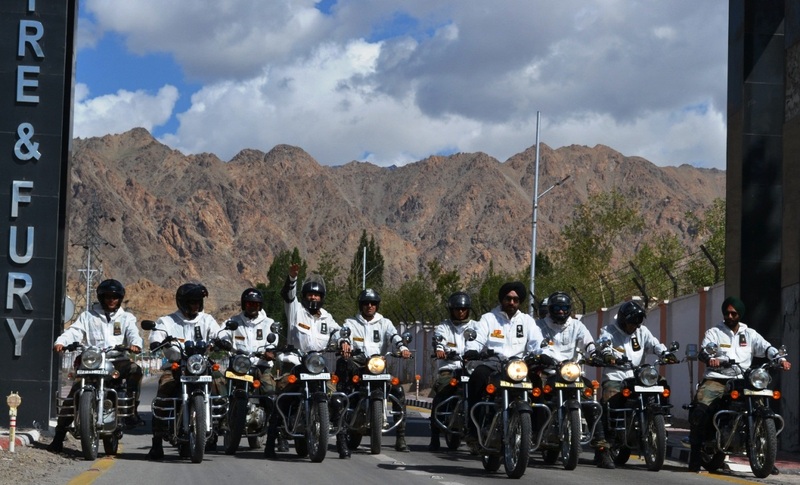 SRINAGAR: A team of 10 Army officers, led by Lt Gen PJS Pannu, AVSM, VSM, General Officer Commanding, Fire & Fury Corps, are on a motorcycle expedition today from Leh to Drass to commemorate the 18th Kargil Vijay Diwas, an army spokesman here said. Vijay Diwas is the anniversary of the India Pakistan conflict over Kargil hills that took place in 1999. “This is the first time such an expedition, spearheaded by GOC, Fire & Fury Corps, is being conducted to salute the valour and supreme sacrifices made by the Kargil War heroes,” the spokesman said. The expedition team, comprising of five officers from Fire & Fury Corps and five officers from ‘Forever in Ops’ Division. On the first day, the team will traverse Nimu, Khaltse, Lamayuru, Budhkharbu, Mulbek and reach Kargil after crossing two important passes enroute, Fatu La and Namik La, covering a distance of 222 Km along NH-1. The following day, Maj Gen CP Cariappa, SM, VSM and Brigadier TK Chopra would join the expedition which will continue its journey from Kargil to Drass. Brigadier Hitesh Bhalla, will flag-in the Indus Suru MC Expedition at Kargil War Memorial, Dras on 24 Jul 2017. Lt Gen PJS Pannu, AVSM, VSM on behalf of the expedition team will lay a wreath at the War Memorial to pay homage to the Martyrs at the culmination of this significant 280 km Indus – Suru Motorcycle Expedition.